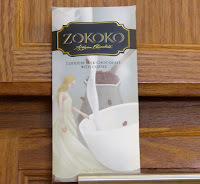 G'day mates and welcome to Day #8 of Chocolate and Coffee Theme Week. 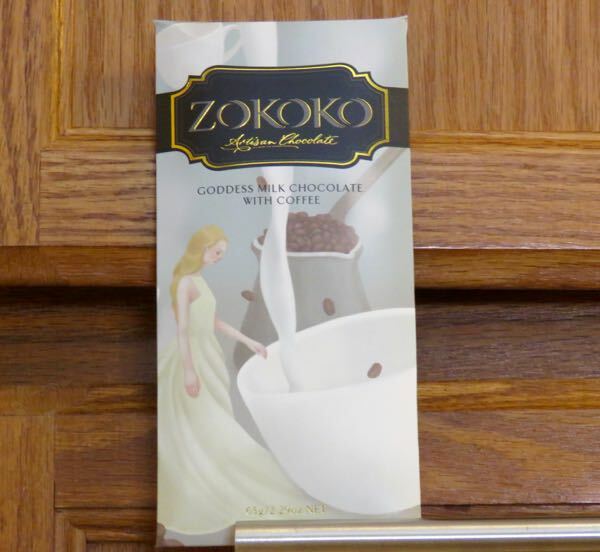 Today's Goddess Milk Chocolate with Coffee bar was made down under, by Zokoko Artisan Chocolate—a bean-to-bar maker based in Emu Heights, NSW, Australia. 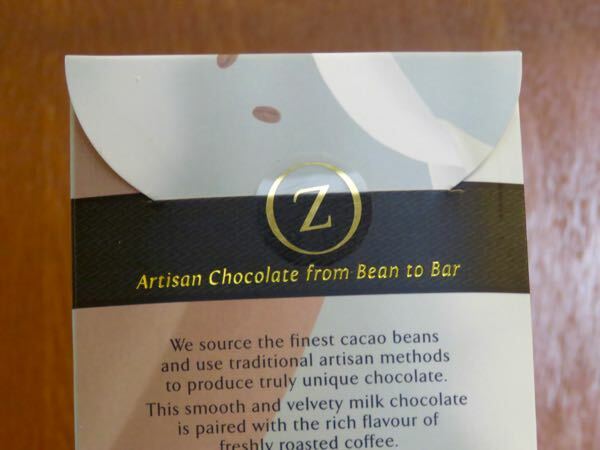 The company description for this bar read: "The smooth and velvety milk chocolate is paired with the rich flavour of freshly roasted coffee." 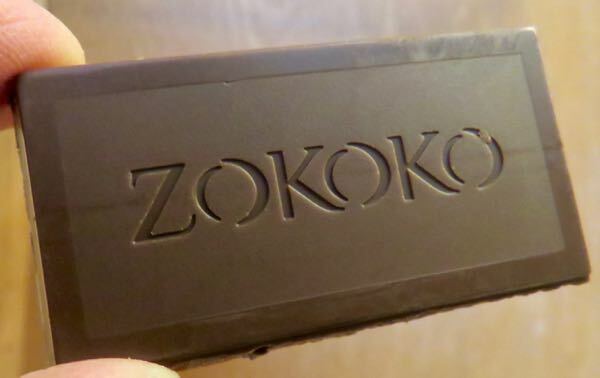 I don't know about goddesses; however, the bar did in fact have a heavenly, creamy texture. 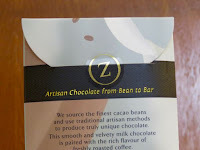 The coffee aroma and flavor were fairly strong. It was difficult to pick out the nuances of the base chocolate flavor with the milk and the coffee, but the combination worked.